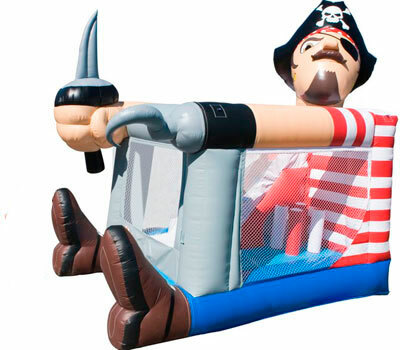 The Pirate Foot Bouncer is guaranteed to stimulate the imagination and get the children physically active. It has a mini obstacle course leading into a tunnel and a small slide as well. This unit also comes with a mini basketball hoop. It is a fully enclosed self-contained unit that the kids will love all day!